Slonim and Novogrudok. Two nice towns meaning so much for Belarus! Tourists who have already crossed Grodno far and wide, we advise you not to hurry to leave the area, and visit the town of Slonim. According to the first records from the year 1252, it was originally called Uslonim (from old Slavic "barrier", "fortification"). Tourists who want to get acquainted with the Grodno Region should not be limited to its capital. 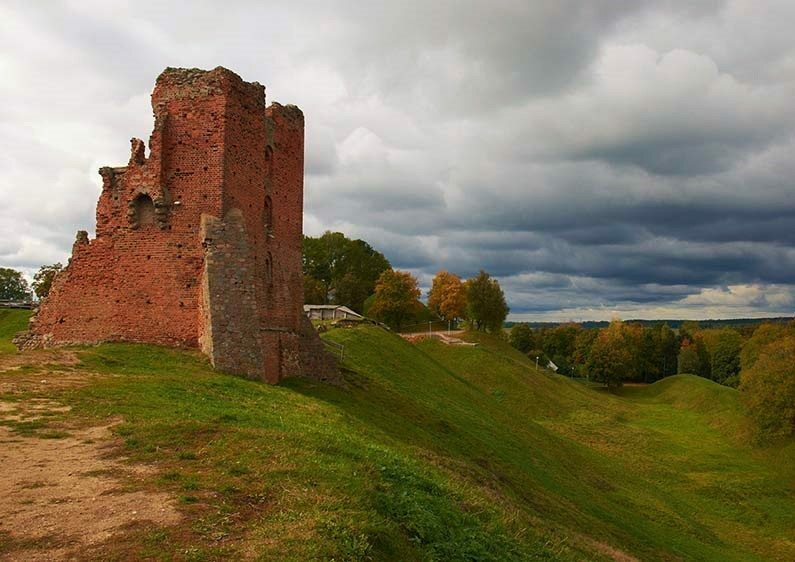 The region has many famous attractions and castles of Belarus: Lida, Kreva, Mir and Lubcha Castle, located just 25 kilometers away from Novogrudok. In addition, there is Naliboki National Park near Slonim. But in these ancient cities mentioned above, there are a lot of places and historical monuments that are of interest to tourists. Let's start with Slonim, which, according to the first record with the 1252 year, was originally called Uslon (from Old Slavic "barrier", "strengthening"). Just arriving to the city by train, the train station itself already attracts your attention. It was built in the style of the Polish Neo-baroque. Nearby you can see other sights: Slonim Synagogue, a classic example of XVII century Baroque, and St. Andrew's Church. The church tower was built at the angle of 45 degrees to the facade creating an interesting impression of some "irregularity" of the building. In 1934, on the outskirts of Slonim at a depth of less than one meter was found the "Slonim idol", a statue of red and gray boulder of X century. Now, the idol is stored in the Slonim Local Lore museum. Also, you can find a brick Dominican Church from the 18th century and Slonim Holy Annunciation convent. Of interest to the traveler is the estate of the Puslovski earls. It is called "Albertine", in honor of beloved son Wojciech Puslowski, after he had drowned in the Lake together with his daughter Tina. There is a "Bottomless lake" situated not far from Slonim. According to a legend, the bottom of it can appear and then disappear in any point of the lake. There are no settlements near it, but nevertheless, there is a stone cemetery of more than 700 hundred years that lurked from it in a nearby forest. 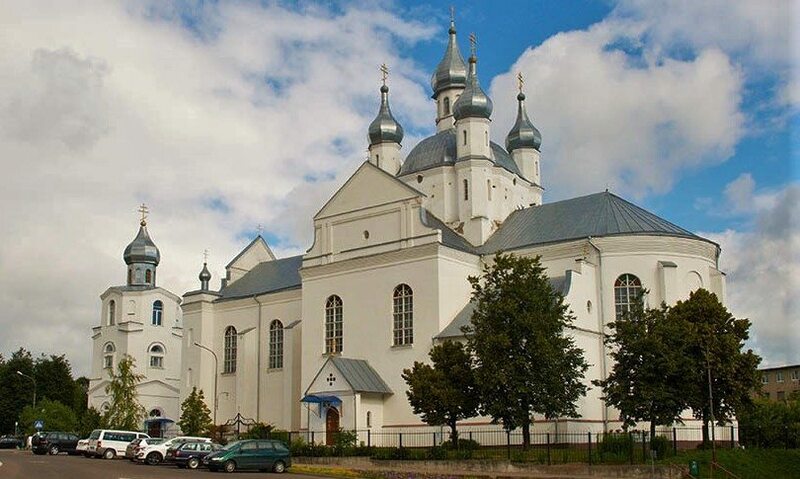 After Slonim travelers are advised to visit another town of Grodno region, Novogrudok (or Navagradak, as the locals call it), in the past - one of the most important political and cultural centers of the Grand Duchy of Lithuania. The main attraction of the town is its Castle, built in the 12th century. It had been repeatedly changed and rebuilt. Unfortunately, after the destruction by the Swedes in the early 18th century, the castle almost hasn't been preserved to the present day. Only ruins of two majestic towers and the grounds of the fortress walls have preserved to this day. The hill, where these towers are located is called by locals "Castle Mountain". Another reason to visit Novogrudok is the fact that the castle regularly holds knight festivals. 714. In the old building of the church a historically important marriage between Jagailo and Sophia took place. After the marriage, Sophia became the fourth and the last wife of the Polish king Jagailo. Nearby is located the Church of St. Michael the Archangel, which also dates back to the beginning of the 18th century. It is well preserved and ready to welcome faithful pilgrims and tourists. Of particular interest is Novogrudok also for literature lovers and poetry. It is the place, where the famous poet Adam Mickiewicz spent his childhood. 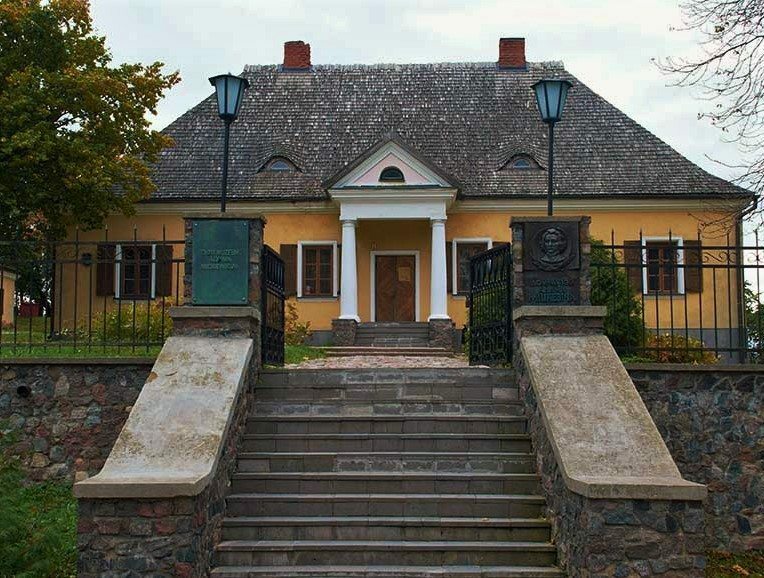 So, here is the house-museum dedicated to the poet. Exterior and interior of the house allow the traveler to feel like living in the first half of the 19th century. There is also a monument of the Polish-Belarusian poet in the town.